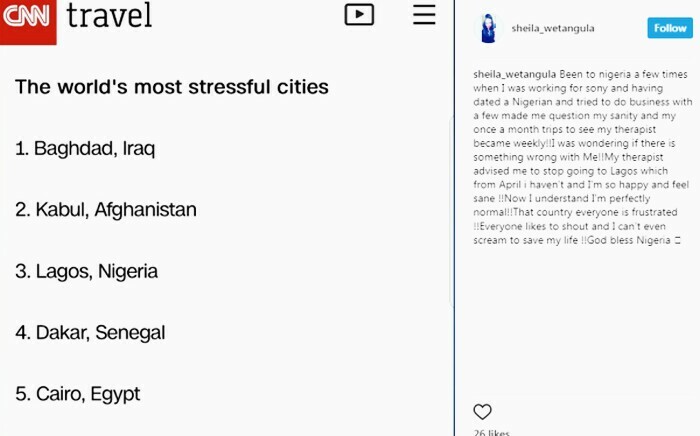 A new study by Zipjet revealed the least stressful cities in the world. This study took some of the major stress-inducing factors into consideration, such as unemployment, debt levels, traffic, public transport, security, pollution and amount of sunlight the city has. Out of 150 cities, Lagos came in at 147, making it the third most stressful city in the world. 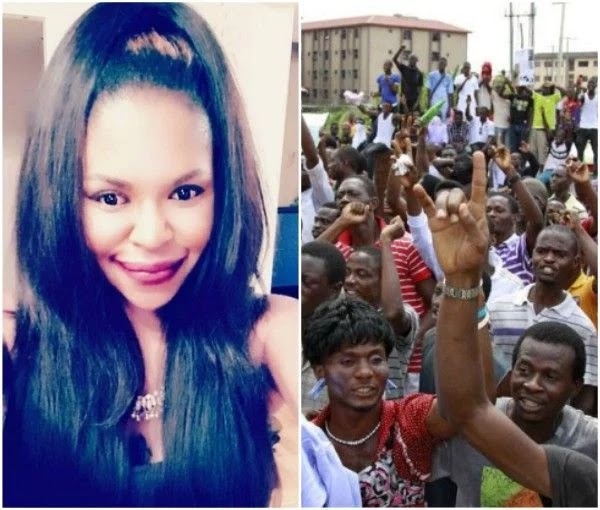 Kenyan socialite Sheila Wetangula took to her Instagram to recount her experience with Nigerians and concluded they are all frustrated.